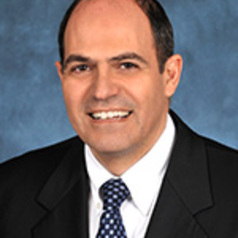 Vincenzo Berghella is Director of the Division of Maternal-Fetal Medicine (MFM), Director of the MFM Fellowship Program, and Professor with Tenure of Obstetrics and Gynecology (Ob-Gyn) at Jefferson Medical College, Thomas Jefferson University, in Philadelphia. Berghella is Board Certified in Ob-Gyn and MFM. Berghella has authored over 300 peer-reviewed manuscripts, abstracts and chapters. He is the editor of three medical textbooks: ‘Obstetric Evidence Based Guidelines’ (in 2nd edition), ‘Maternal Fetal Evidence Based Guidelines’ (in 2nd edition), and ‘Preterm birth: Prevention and management’. He is also author of over twenty other books. He has obtained grant funding from the NIH and several other institutions. Berghella is a member and leader of several Committees of the American College of Obstetrics and Gynecology (ACOG), including the Practice Bulletin (Obstetrics), Practice, Document Review Committee (Chair), and PROLOG (Obstetrics) Committees (Co-Chair). He is an Oral Examiner for the American Board of Obstetrics and Gynecology (ABOG) for Maternal-Fetal Medicine. He is currently President of the Society for Maternal-Fetal Medicine (SMFM), Past-Chairman of the Fellowship Affairs Committee, of the Publication Committee, and of the Retreat Committee. He is a Board member of the Pregnancy Foundation. He is an Associate Editor for the American Journal of Obstetrics and Gynecology (AJOG), an Editor for the Journal of Maternal Fetal and Neonatal Medicine, and Associate Editor for the Cochrane Review. Berghella has lectured at major international meetings in the USA, Europe, Asia, and South America. He continues to have a busy schedule of clinical, educational, and research activities in Maternal-Fetal Medicine at Thomas Jefferson University. His research interests are prediction and prevention of preterm birth, cervical ultrasound, cerclage, labor, cesarean delivery, and evidence-based clinical obstetrics and maternal-fetal medicine.